In this guide we’ll be taking a look at some of the best MIDI controller keyboards and pads you can buy for music production. Quick answer: we consider the Nektar Impact L49+ for best value for money MIDI controller, as it has both keys and pads, and motorized controls. Alternatively, Ableton Push 2 and Akai Professional MPD226 for top rated and budget MIDI controller pads. 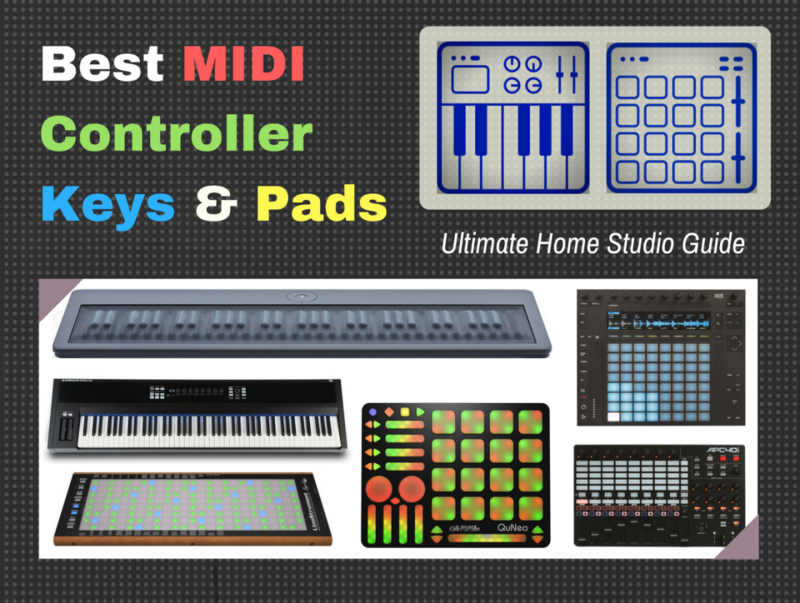 The rest of this guide will go into more detail on each of the 5 mentioned MIDI controllers we chosen as the best. Any difference from the previous year? Not really, these 5 MIDI controllers, in our opinion, continue to be the best choices in their class, and for the price. A heavy statement, admittedly, especially in a world filled with a plethora of controllers. However, we have added the Native Instruments Komplete Kontrol A49 to this list as a great new alternative to the Nektar Impact L49+. You can read more about in the review below. There are a total of 20 MIDI controllers in this buying guide and review. Here are to top 5 right now. Overview A full-featured MIDI controller and DAW control surface with motorized controls for DAW automation. The motorized controls make it a top choice, but the look and feel also makes this a very attractive buy, even though it’s one of the more expensive models in the top 5, it’s still a great bargain. A portable full-sized 49-key MIDI controller for those on a tighter budget but don’t want to skimp on necessary features. It has DAW controller capability, and comes with tons of content, plus its Automap feature makes it automatically map your DAW parameters quickly. A very popular ultra-portable and compact MIDI controller, mainly for mobile beatmakers and composers who want a controller that travels easily. The simplicity makes it great for beginners too, and at a pretty cheap price, even though it make lack a few necessary advanced features. The MIDI controller of choice for Ableton Live DAW users, and it’s even become a de facto MIDI controller for electronic musicians, producers, and DJs. Even though it comes at a fairly premium price, the touch controls, features and solid quality makes it worth the price. A fun, affordable MIDI pad controller. It has fewer pads, but users like the large, thick MPC style pads with RGB back-lighting. Plus its other DAW controls makes it very useful. Add in the content and it’s a great bargain for beginners and pros. Take a look at the buying guide section of this post if you need help making your selection. The Nektar Panorama keyboards are some of the best MIDI controller keyboards on the market right now. It's made in California, and is one of the newer manufacturers on this list. You can get the Panaorama in two varieties: the P4, which is a 49 key MIDI controller; and the P6, which has 61 keys. Besides it being a keyboard controller, it was also designed as a control surface for DAW. It was originally created as a dedicated controller for Propellerhead Reason, so it will seamlessly map out all controls in Reason DAW. But it is also well integrated with Cubase, Bitwig Studio, Logic Pro, Reaper, and Nuendo. The Panorama's motorized control is probably its best feature. The 100 mm master fader comes with motorized action for automated DAW controlling. When you make a change on your DAW mixing fader, for instance, the fader on the Panorama will adjust accurately in place as well. It also has its own channel strip controller, which gives you access to EQ, sends, and insert settings. The Panorama also comes with 12 velocity and pressure sensitive pads. You can set 7 velocity curves to them, as well as transpose and shift them up and down octaves. As I said, you get an option of 49 or 61 keys, which are semi-weighted and velocity sensitive. It after touch feature is also a very important feature for the MIDI keyboard controller. Other controls include play, pause, stop, 8 encoders and 8 faders, transpose, transport, view toggle, loop, and function key buttons. In terms of playing, users have commented that the Panorama offers the best feel you can get from a keyboard controller that's not hammer action. One user saying that playing the keys is actually pleasant, and doesn't give you that flimsy plastic feel you get from playing most consumer keyboards. Workflow is one of the strong points of the Panorama. According to many user reviews, there is hardly any other MIDI controller on the market that offers the same amount of DAW integration that this has. The settings make it completely controllable without ever needing to touch your mouse. The only potential drawback is that it doesn't come with any software bundled with it (Komplete Kontrol has the best bundle package, in my opinion). The Nektar Panorma MIDI keyboard controller is one of the best you can buy. This is especially so if you use Reason, but it integrates seamlessly with other DAWs as well. Note: The LX49+ continues to offer great value this year. But we've also considered the new Native Instruments Komplete Kontrol A49 a great alternative. Jump to the review and check it out. The Nektar Impact LX49+ MIDI keyboard controller is the updated version to the previous LX model which was very popular and saw a lot of success. It's lightweight and portable, with many of the users who bought it using it as a stage controller as well as studio controller. Besides the affordable price, its the most impressive aspect is its ability to port to all the major DAWs. It has a very impressive list of compatibility. All that is needed is to download the necessary installation files from Nektar's website and it'll automatically sync up your controller to your DAW. If you're on Cubase, a frustration free setup is guaranteed given that it is the only certified third party Cubase controller on the market. The Nektar Impact LX49+ has 49 keys, although you can get it in 61 and 88 keys as well. The keys on the LX49+ are semi-weighted and full-sized synth style keys. According to users, it has a nice feel that doesn't feel cheap. It comes with 8 backlit color pads which are automatically set for MIDI drums, but you can also assign them to other controls depending on the DAW you use, such as triggering clips and scenes inside of Ableton or Bitwig. In terms of other controls, you get all the standard controls for a MIDI controller like pitch bend, modulation dedicated transport controls, and foot pedal controls. It's easy to keep track of what you're doing because of all the visual feedback it provides from LED buttons that show mixer, instrument, or preset selections, plus illuminated pads. And everything is clearly labeled. The pads also have a "Pad learn" feature so you can re-assign pads to sounds easily and quickly. There are also 9 faders and 8 knobs to use to control your DAW. Many users find the design very attractive. It's sleek and professional, as well as modern looking. The organization of the controls make everything look easy to navigate. Some controllers simply overwhelm with the sheer number of controls they offer. Though the Nektar Impact LX49+ MIDI keyboard controller this is not lacking in controls from many of the others on the list for a higher price, the design definitely makes you feel like you can get to things quickly and intuitively without having to "learn" where everything is. It's Automap software, seamless DAW integration, and low price are the best reasons to get the Nektar Impact LX49+. The capacity for plug-and-play is also very attractive, making it a great value for beginners and budget buyers. The Akai Professional MPK Mini mkII MIDI keyboard controller is the newer version to the original MPK Mini controller. The previous version was very popular and saw a lot of success, especially among budget buyers and beginners. Akai continues with the latest update, which is pretty much the same controller, but with a few minor differences. The MPK Mini mkII is a compact controller. This version only has 25 keys which are “mini” style piano keys. It is suitable for live performance as well as producing in your home studio. But probably the most attractive aspect of the controller is the fact that you can use it with your laptop and headphones anywhere to compose tracks or make beats. It is compatible with all the major DAWs out there, but it comes with a version of Reason Lite, which you can install on your laptop. This controller makes it a greater starter gear for people who want to get into music production without having to spend a lot. In addition to the 25 mini style piano keys, there are 8 MPC style pads. You can route them to your DAW or virtual drum machine to create beat loops. The pads are backlit and velocity-sensitive as well, which is great for device that costs so little. It also features the MPC Note Repeat feature for creating rapid hat, kick, and snare rolls. You won’t be left without some proper DAW controls, either. In addition to the octave up/down, and 4-way thumbstick for pitch bending and mod controls, there are eight Q-Link knobs, which can be routed to your DAW for controlling parameters within your VST or DAW mixer. The MPK Mini mkII midi controller comes with Akai VIP software, which lets you automatically map your controllers to the plugins in your DAW. This works in tandem with the MIDI Learn function works with any DAW, not only the Reason Lite DAW that it comes with. This is great feature that comes closer to “plug-and-go” than anything else. The majority of customers that get the Akai Professional MPK Mini mkII are satisfied with it. 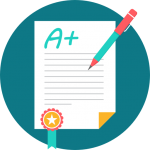 At the time of this writing, there were well over a thousand customer reviews on Amazon, and this is for a product that has been launched to the market relatively recently. The major positive reviews talk about how affordable it is, yet with that “high-quality” feel. Also, that the MIDI controller is very easy to use and to carry. The only real negative would be that the software setup can be a bit of a learning curve when you just get it, and the tiny keys may not be suitable for some users, and they don't have any aftertouch capability. The Akai Professional MPK Mini mkII is one of the top choices in this guide. It is primarily aimed at producers who either want something they can carry around easily, or are just starting out. It’s a great tool for electronic music production, as well as brainstorming beats. And because it’s easy to compact and lightweight, you can use it to produce music anywhere. This, to me, is the best reason to get the MPK Mini mkII. It also helps that it’s one of the cheapest midi controllers on this list. Ableton Push 2 is a MIDI Pad controller designed to be the best MIDI pad controller for the Ableton Live DAW. But it can also be used with other popular DAWs like Logic and Reason, though you won't get its best features, which is what makes the Push the top pad controller for electronic musicians. The Push MIDI controller really popularized the idea of using a pad controller as a musical instrument. The vast majority of users are hip hop and electronic music producers, making it probably the most famous pad controller on the market. That's thanks to its ease of use and integration, particularly when it comes to using with Ableton Live. When you set it up, you'll find it a simple and streamlined process. Simply plug in the power supply, connect the USB cable to your computer, and launch Live, and all systems are go. Setting it up on other DAWs may take a little more processes, however. But it's not hard, and you can find tons of tutorials on Youtube. The build quality is impressive. Holding Push in your hands feel like a solid piece of machinery -- a matte black rectangular slab of 64 silicone pads, rotary encoders, and a large display. The device will still work if you use USB power alone, but the cut back on power will result in a dimmer display. Speaking of the display, it has one of the most beautiful screens. It's about 40mm high (it's larger on the newer version) and runs at high resolution. High enough to display graphic icons and up to eight rows of text. Looking at the display gives you a lot of feedback in full color about your waveforms, mixer controls, and levels. It has the typical control buttons like playback and recording as well as automation controls and the clip editor buttons as well. You can also connect up to two pedals to control sustain, looping control, and recording stop and start. As a musical instrument, you can divide the pads into separate sections for drum racks, step sequencing, and sample playing. Once you get the hang of it, combined with all the color and light feedback, the Push can turn you into one a man electric musician multi-instrumentalist. The controls on the Push give you access to your DAW's mixer. The track buttons for playback, pan volume, mute, solo, pan and send will control your DAW, and you can monitor it from the overview on Push's display. Push 2 has been around for years and has a loyal and enthusiast following among pad musicians. This would be the best pad controller for you if your primary genre is electronic music, and related genres like hip hop. As a multi-instrument tool, it's pretty much unparalleled. And if you're a Live user, Push would probably be one of the most useful tools in your home studio set up. 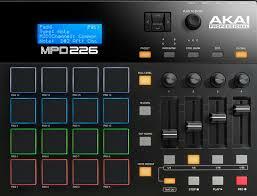 The Akai Professional MPD226 MIDI Pad Controller is the new version to the original MPD controller. The original was a huge success and saw a lot of popularity, thanks to being easy to use, feature-packed, compact, and lightweight. It’s a pad controller that both beginners and advanced users can get into, and though it’s an inexpensive buy, it’s also highly rated. For this reason, it’s one of the top buyer’s choices out there right now. The MPD226 can be used by producers, musicians, and DJs, both professional and novice, expert or amateur. It has 16 programmable velocity and pressure sensitive pads with note repeat. The pads not only respond to how hard you hit them, but also to how much pressure you apply to them. This is great for an “aftertouch” feature on a pad controller. The pads themselves are MPC designed, which are fat and thick, making them easy to strike without missing. It also helps that they are color coded with RGB backlighting, which will change when you select between four banks for pad assignments. There are also expanded controls, which offer you four sets of knobs, faders, and buttons which can control your DAW settings. These number 36 controls in total, which gives you a lot more options than the 12 that was available on the original MPD26. You can use these to control ADSR envelopes, EQs, and other parameters within your DAW. The MPD226 MIDI pad controller connects to your DAW via USB interface, which also powers the device, and it is compatible with both Mac, and PC. It can also be connected to your iOS device as well for on-the-go music production, jamming, or performances from your iPad. This can be done via the Camera Connection Kit, which is sold separately, but it’s a good option to have in mind. There’s a lot of great content that comes with the MPD226 as well than I’m sure you could appreciate. The manufacturer has included over $400 worth of software in the package, for free. This includes the Akai Pro MPC Essential, Big Bang Drums and Big Bang Cinema from Sonivox, Ableton Live Lite, and Software Preset. The MPD226 gets generally positive reviews from buyers all around, which is one of the reasons why it got one of the top spots in this guide. Users like that the device is easy to use, easy to setup, and quite durable. The super thick pads are reassuring and don’t feel cheap and wobbly, which is a great plus. The design is beautiful, professional, light and portable. The only major complaint I could find is the occasion ghost note or double input that some users mention. The Akai Professional MPD226 MIDI pad controller is overall a great bargain for the price. It is low cost, and has that high quality feel and look. There may be one major flaw with the device that some may run into, but for the price, that’s perhaps the bargain you’d have to make. Otherwise, it continues to be the top buyer’s choice in this list for a good budget MIDI pad controller. Native Instruments is best known as a software developer, having released some of the most innovative and ground breaking software instruments in existence. More recently, the company has garnered recognition for its excellent line of keyboard controllers and control surfaces, many of which have been designed to interface directly with the company’s own software. The Komplete Kontrol A49 is one such controller, and it clearly has what it takes to make it an essential part of any home studio setup. With its stylish good looks and nice selection of bundled instruments, it could potentially be one of the most useful tools in your studio arsenal. The Komplete Kontrol A49 is part of the A-Series of controllers, all of which are designed for ultimate playability. This particular model is equipped with NI’s custom semi-weighted keybed, which is also used in the 25- and 61-key versions. In addition to the standard pitch and mod wheels–which are both quite solid and nice-feeling–the A49 also has eight touch-sensitive control knobs. These can be mapped to your DAW’s mixer or effects or to software instruments, giving you immediate and intuitive control over various functions. The A49 also has transport controls, enabling you to start and stop playback, arm record, quantize notes, and adjust bar loops, all right from the keyboard’s top panel. Right out of the box, the A49 impressed users with its stylish looks and sturdy construction. With most other midi controllers sporting the characteristic gray or white exterior, many users appreciated the more elegant and sophisticated matte-black finish of the A49. The semi-weighted keys seem to be the most-praised feature, with many users favoring it over other keyboards’ cheap-feeling keybeds. Some users did complain about the excessive key travel, which could hinder playing performance. The lack of a power switch also seemed to be an annoyance for some. The Komplete Kontrol A49 is an excellent midi controller that delivers exceptional value. Its stylish exterior and semi-weighted keys suggest a unit that could easily cost many times as much. For the price, you get a host of features and connectivity options that could make it a very useful addition to your home studio. Choosing the right MIDI controller, like choosing a good microphone, is an important step when it comes to making your own music. A good MIDI controller is your multi-purpose instrument in the studio, and even on the stage. The great thing about these types of instruments is their flexibility--you may not have the skills of a drummer, or of a string or even guitar player. But with the right MIDI controller, paired with some professional VST plugins, you could easily, and affordably, create any sort of music you like. A MIDI controller is a device that controls the software within your computer or laptop. Traditionally they are keyboards or pads, although lately there have been guitar and other non-conventional MIDI controllers. Keyboard MIDI controllers are, like the name suggests, designed like typical pianos. While pad controllers are designed originally like MPC drum machines. MIDI pad controllers have evolved to be great performance instruments in their own right, and are a great alternative to those who feel lacking in sufficient piano playing skills to compose tracks via a MIDI keyboard controller. Instead of purchasing an actual synthesizer and connecting it to your digital audio workstation, your DAW probably already has one installed in it. So you'd purchase a MIDI keyboard to "control" its software by playing in notes, just like a normal keyboard synthesizer. You can also use MIDI controllers for playing drums beats. In fact, most people use keyboard controls to map out beat patterns in pop and hip-hop songs without the need of a studio drummer. Another popular use for MIDI controllers are as "control surfaces." Many MIDI controllers on this list will be able to control various aspects of your DAW -- your mixing faders, play, pause, record, and so on. For some controllers, you can do most of your production without having to touch your mouse. MIDI controllers send signals called CC data. CC data means "continuous control data," which is a message that communicates to your computer varying values through different channels. Such as velocity, expression, pitch bending, and so on. One important thing to know about MIDI controllers, is that they do not have their own sounds built into them. A keyboard synthesizer or workstation will come with preloaded samples and a sound engine that you can turn on an play. A MIDI controller, on the other hand, will need to be plugged into your computer, laptop, or sound module, which will intern be plugged into your audio interface and studio monitors, or headphones, for you to hear any sounds. The reason why you would use a MIDI controller is simple: you get a device that is a blank canvas which will manipulate all the custom sounds you've purchased or created. Instead of using their resources to create the "perfect" sounds, the manufacturer of the MIDI controller placed all their effort into making a device that enhances your performance and composition workflow -- all you'd do is provide the sounds. Usually these sounds would come from VST plugins or software instruments. Now that we've established that, let's look into how you'd go about choosing a MIDI controller for your particular setup. There are various kinds of MIDI controllers, and as time goes on, more and more variations are popping up. For this post, we'll focus on two main types: Keyboard, and Pad controllers. As the name suggests, you'd play this kind of controller in the same way you'd play a piano or keyboard. But they come in different varieties as well. The largest ones have 88 keys like a full piano, and the smallest ones have 25 keys. The size and shape of the keys may differ from full sized piano style keys, to slim "mini" keys that make the controller compact and portable. You'd want to get an 88 key controller if you're pianist and plan on using your controller to play piano tracks into your DAW, or perform from a sound module or software instrument like you would a piano. Depending on what you want, you'd also want to get an 88 key controller that has "hammer weighted keys" and are full-weighted. The best full-weighted MIDI controller the Kawai VPC1 Virtual Piano Controller for the most realistic piano feel. The other best 88 key option is the Native Instruments Komplete Kontrol, which is also hammer weighted, but provides more DAW supported options, as well as the "after touch" feature (more on that in a bit). You'd generally want a small keyboard MIDI controller if you're looking for something portable and easy to carry. Smaller keyboards can be played right on your desk or in your lap. In some cases, even in your hand. You can also use these compact MIDIs as songwriting tools and for laying out chord progressions and synth melodies. Many keyboards on this list offer additional controls. This would be suitable if you need a more versatile instrument that can control aspects of your DAW (like mixing, recording, playback, etc.). These kind of keyboards are workstations built to be a "all-in-one" music creation lab, and they are very popular. There are MIDI keyboards that are not quite keyboards, but are similar in design or layout. These offer you abilities in expression that would otherwise be limited on a standard piano. Things like that ability to play vibrato, play microtonal pitches, sliding seamlessly from one pitch to the other (instead of whole-half step piano glissandos), and crescendos. The best fingerboard many consider to be, is the ROLI Seaboard. Pad controllers are normally used to play drum beats, trigger samples, or even play synth and other software musical instruments. Some users, who are not very gifted as piano players, like to use them as their go-to music making device. Still others rely on playing them like a keyboard instrument because the matrix patterns offer an intuitive approach to music performance. Others use them to create and arrange loops for electronic music. The best MIDI pad controller many consider to be, is the Ableton Push. Do you plan on using your controller mainly in your studio? Or do you think you will need to take it around with you? The portability factor is a big one, especially if you know you'd like something to sketch out ideas on the go, or need it to quickly setup for live sets.. The 25 and 37 key keyboards options are great for portability since they usually fit in a bag, on a desk, or on your lap pretty well. Also, depending on your studio setup, a smaller keyboard like 49 or 61 keys may fit better if you work in a tight space (like a bedroom). This is a big one for many people. Like we already saw, some keyboards have full-weight piano style keys with hammer action. Others are semi-weighted. And still, there are those with synth-like action. We already discussed this, but if you know you're going to be playing in a way where you need that "piano feel," then that's something to consider. Otherwise, a semi-weight or even "synth action" style keyboard feel might be suitable. Synth-action simply means you get lighter feeling keys with a little bit of a spring feel to it -- this provides a little resistance and allows the key to bounce back up when you release it. They are best for, as the name suggests, playing synthy chords, pads, melodies, and samples, as well as beating out drum grooves. All the keyboards on this list will be velocity sensitive, meaning that they play louder the harder you hit them. Some of the pad controllers will be velocity sensitive as well, so that's something to keep in mind. There is also after touch and pressure sensitivity. In MIDI keyboards, after touch refers to data being sent after you play a note. You can play vibrato or control the volume based on how you hold your finger on the key. On pads, you get a similar concept called pressure sensitivity (or "Z-axis" directional sensitivity). These are also worthwhile considerations for choosing the best MIDI controller. This is a question that always comes up when people are choosing a controller. It's a good question because you purchase your controller, you don't want a scenario where you realize that it's essentially useless once you plug it in. Ouch. Anyway, relax. 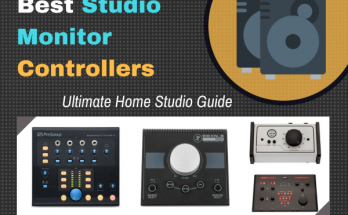 All the controllers on this list are compatible with all the major DAWs. 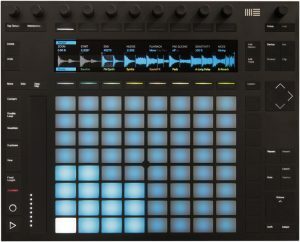 There will be some controllers that are made specifically for a DAW, such as Ableton's Push. However, each controller operates as a generic controller made to be used with all digital audio workstations. As you would've realized, getting a MIDI controller isn't as simple as going to Amazon or an online retailer to buy one. Even when searching through the forums, judgement is clouded by so much opinionated statements based on personal experiences and relative knowledge. But by the end of this guide, you would have educated yourself on the essentials of MIDI controllers, what they do, and what types exist. You would also find that maybe what you wanted wasn't exactly what you thought you wanted, as I did my best to list out a variety of options for both keyboard and pad controllers. Hopefully, if you were uninitiated or a beginner, you would've come to understand the basic principles of MIDI controllers, and the specifications that went into an ideal buying choice. Otherwise, if you have any more questions that need clarification, take a look at the FAQ section below. And if you didn't find a MIDI controller specific to your interest, take a look at the full list of MIDI controllers that were considered for this guide. Is a MIDI controller necessary? A MIDI controller isn’t entirely necessary in order to produce music, but it helps bridge a huge gap between beginners and professionals. You won’t find a professional audio/music producer using a laptop/computer keyboard to make their sound (unless you're Deadmau5). But if you have a desire to grow in the audio industry and want to be taken seriously by other producers, then a MIDI controller is definitely essential. What is the difference between a MIDI keyboard controller and a synthesizer? Although people often confuse the two, there are a few key differences between a MIDI controller and a synthesizer. First off, a MIDI controller doesn’t make any sound itself. It sends signals, which your DAW will convert into whatever sounds you set. A synthesizer can make sounds itself, and act as a standalone keyboard with certain variations. Another difference, or point of confusion, is that a synthesizer can often contain a MIDI controller. This allows the user to either produce music from their DAW, or straight from the synthesizer’s keyboard. You can also purchase a MIDI controller that is separate from the synthesizer if you don’t want to always have them combined. How can you hook up MIDI controller to laptop or computer? There are a couple different ways to hook a MIDI controller to a laptop or a computer. The first and most obvious way is via a USB cable. Some MIDI controllers come with a USB female end, in which you can plug a male USB cable into. The other side of the USB cable plugs into your laptop/computer, and you’re all set. The other method to hook a MIDI controller to a laptop/computer is via a MIDI to USB adapter. Take your MIDI cable and plug it into the MIDI controller first. Then, plug the other end of the MIDI cable into the MIDI to USB adapter. Finally, plug the other end of the USB adapter (this will be a male USB end) into your laptop. How can you connect a MIDI controller to an iPad? Connecting a MIDI controller to an iPad is quite easy if your controller has a USB plug. All you need is a USB/Lightning cable adapter. Simply plug your USB into the MIDI controller, and plug the other end into the Lightning adapter, and then put the Lightning cable into your iPad. It’s not really recommended to use an iPad with your MIDI controller if you don’t have a USB port, since you’d also have to use a MIDI/USB adapter followed by the USB/Lightning adapter. Since MIDI cables generally have a heavier output, you could damage the iPad. There are two main ways to power a MIDI controller. The first option is if you have a USB port on the MIDI controller. All you have to do is plug it into the laptop/computer as you normally would to operate the controller, and set it to charge. If you don’t have a MIDI controller with a USB port, or if you want a quicker charge, you can purchase a 9v power supply. A 9V power supply is similar to the chargers used for laptops, but be careful when choosing your charger. See your controller’s specifications before buying a charger to prevent overload. How do you use a MIDI controller for a live performance? You only need a few essential pieces of equipment for a live performance with a MIDI controller. The first piece is obviously the controller itself. You’d also need an audio interface, a computer/laptop, some speakers, and virtual instruments or music software set to your preferences. Hook the MIDI controller to the audio interface, then hook the audio interface into the laptop. Plug in your speakers, and open up your music software and you’re all set. It’s not always that easy for a massive live performance, but it’ll get you started on the right path for a smaller crowd. What is aftertouch on a MIDI controller? Aftertouch is a unique MIDI controller setting that allows the user to produce the notes/sounds from the keyboard on the release of the key/button instead of when it’s pressed. Usually, a MIDI controller sends signals to a computer/laptop when the button or key is first pressed. Aftertouch isn’t as beginner-friendly as standard MIDI controller settings are. That being said, many professional music/audio producers use aftertouch in certain projects that require better timing. It’s easier to time the release of a key or button than it is to time how long it takes for your finger to hit it. How can you reduce latency on a MIDI controller? In order to reduce the latency on a MIDI controller, you should first diagnose the issue. Most MIDI controllers don’t work to well with a standard sound driver. Consider switching to an ASIO sound driver. ASIO sound drivers are specifically made to work with MIDI controllers, and help reduce latency by a dramatic amount. If you still notice latency after switching to an ASIO sound driver, or want to try out a different option first, consider getting an audio interface. An audio interface’s primary job is to improve sound quality and reduce latency. Most consumer laptops and computers don’t come equipped with sound cards or any hardware that is capable of dealing with a MIDI controller. Audio interfaces have a wide variety of price ranges, and they’re all well worth the investment. As with a MIDI controller, an audio interface is an essential piece of equipment for any audio/music producer that wants to be taken seriously. This is the full list of MIDI controllers. These include pad and keyboard controllers, and are considered the top in the market, across various price ranges. Take a closer look and click "read review" for the one you're interested in. The M-Audio Keystation are super popular MIDI controller keyboards. For a cheap price, you get a piece of high quality gear made by a pro audio manufacturer that has been around for years now. But where the Keystation MIDI keyboard controllers stands out is its portability. All the models are super lightweight. In fact, the 88 key model is probably the lightest 88 key MIDI controller you can find on the market, as well as being portable enough for you to carry around as a gig instrument. The Keystation is also great as a "beginner's" controller because there really isn't a lot of controls and commands for you to play around with. There are the typical octave shift keys, the pitch bend and the mod wheel, and a function key, as well as the master volume control. However, you can route commands to your DAW using the keyboard keys itself (although this would require some setup). You can plug a sustain pedal into it, as well. And with the 88 key model, you can even add a volume pedal. All models are powered by USB, with the option of an AC adapter. The keys are semi-weighted. They offer enough resistance for you to play piano on, but they won't really feel like a full-weight piano key. There is also the 32 key "Mini-key" version if you want the cheapest mini-key alternative to the others I mentioned. The Keystation also comes with SONiVOX Eighty-Eight Ensemble, which a very high quality virtual piano instrument. There's also a copy of Ableton Live Lite that comes with the purchase. You can expect a virtual plug and play experience right out of the box. Compatibility wise, it works with all the major DAWs on the market and on both Mac and PC. There should be no problem in terms of hooking the Keystation up and getting it to work. If you're looking for a cheap MIDI controller that's dependable, the M-Audio Keystation is your best bet. It's pretty much the most popular option because of that very reason. There have been a few criticisms from other users about the older models, but M-Audio has released a new version of the series which has improved upon the feel and overall quality and design of the controller. This is the best cheap MIDI controller you can buy. Weight: (32 key mini) 0.99 lbs; (49 key) 4.6 lbs; (61 key) 11 lbs; (88 key) 22 lbs. The IK Multimedia iRig Keys Pro 37 is a "plug and play" MIDI controller billed as one of the "smallest keyboards on the market." You can use it for your laptop or computer as the form factor lends it to being ideal for table top use. But it's also designed to be used with an iPad as well for music production. One of the neat things about this is that it has 37 keys. Why is that awesome? 25 keys is good for writing bass, melodies, simple chord progressions and so on. But as anyone who uses a 25 keyboard will tell you, you'll be hitting that octave button a lot. 49 keys on the other hand is more than sufficient for what we just discussed, but it's still not as portable as 25 key MIDI controllers. That's the nice thing about this iRig. You get a compromise that gives you exactly the amount of keys you need in a portable MIDI controller. That said, the regular 37 key model features full sized synth style keys which are velocity sensitivity. Despite it being small, it's not limited in other controls. You have dedicated pitch and mod wheels as well. The buttons on this device are also backlit so you can see them easily in the dark. In addition to the MIDI keyboard controller, those who have been in music production for a while would recognized the IK Multimedia name. They are the makers of some of best professional plugins on the market, much of them that are used for mixing purposes. So it's pretty exciting to see that they are involved in the MIDI controller market. That said, you do get some free software with the iRig: SampleTank for iPhone and iPad, and SampleTank 3 SE for Mac and PC. The iPad version is a sound module app that comes with acoustic and electric instruments. While the Mac/PC version is a stand-alone software instrument that can work in plugin mode with all the most popular DAWs. Those who've used it have been happy with the feel and weight of the keys, even though the controller is so small. It's best use is as a great songwriting tool, as well as can be used for stage performances. You'll like this if you need something that you can carry around and be plugged into your computer or iPad for quick playing and writing. The market is full of mini-key keyboards for ultra-portability, but if you don't like the rest of them, the iRig would be the best alternative. The Native Instruments Komplete Kontrol S is a line of professional MIDI controller keyboards that have become very popular and very highly rated. Komplete Kontrol was designed to be the best MIDI controller for Native Instruments Komplete software suite, which is one of the best and most complete instrument software packages on the planet. But you can use Komplete Kontrol with any DAW and VST software. The fact that they were made by the same makers of Komplete Software, however, means a seamless operation for your studio if you already have their software packages. Komplete Kontrol comes in S25, S49, S61, and S88 models. All the designated model number simply mean the amount of keys they have. But they all share are the essential features that make workflow in music production efficient. For instance, Komplete Kontrol comes with high-resolution displays that you can use to see all your controls from the keyboard itself. Above them, are buttons for you to control your software without moving from the keyboard itself... hence the name "Komplete Kontrol." Things like muting, soloing tracks, setting tempos via tapping, triggering clips, toggling recording and overdubbing, and quantization can be done right at the keyboard. This is just some of the features of what it can do, making it a full-feature workstation keyboard to be used in tandem with your digital audio workstation. The features that come on Komplete Kontrol are not just extra "bells and whistles" that's nice to have but you won't end up using. Users who've had it for a while comment that the hardware interface parameters are very easy to navigate, and actually become an integral part of their workflow, enhancing and making a more efficient the production experience. This is especially so if you happen to be using the Native Instruments content. Without the Komplete Kontrol, it would be hard to fully maximize the functionality of your software. The design and build quality is one of the best in the industry. The impression it gives you is solid and professional, with every detail designed for efficiency. Even the lighting. One user said that he thought that the lights were going to be too distracting, but after using it, he realized they actually assisted with his production process. The Komplete Kontrol S MIDI keyboard controller is most suitable if you are producer of any keyboard driven genre of music, and you have options for different sizes depending on what you playing needs are. It might be pricey for some, but a worthy investment for all serious about their music. Weight: S25 - 7.16 lbs. ; S49 - 12.1 lbs. ; S61 - 14.4 lbs. ; S88 31.75 lbs. Other Controls: 8 control knobs for software control; 2 touch strips for modulation, pitchbend etc. ; play, pause, stop controls. The CME XKey 37 is an ultra portable MIDI keyboard controller. If you're in the market for a sleek, easy to carry MIDI controller that's actually thinner than an iPad, this is a good MIDI controller to check out. Users who own it like the fact that it still has full-sized piano style keys, meaning that you can still get around the keyboard like a regular piano. The short key travel would take some getting used to, since it is comparable to key travel of Mac keyboard. But once you get used to it, you'll find that it's very much playable and even rewarding. The keys are velocity sensitive, and you can adjust the velocity curve to suite the way that you'll be striking the keys. XKey 37 MIDI controller also offers poly-aftertouch control. Since it doesn't have a mod wheel, the aftertouch would be used to control modulation with your fingers by sliding up and down the key, making it a very fun experience. However, there is some criticism by some users who consider the velocity sensitivity being "too sensitive", and the aftertouch wasn't as responsive as some would like. This was also given the fact that the keybed has an ultra short travel distance to the keybed, and that it was designed primarily for ultra portability, since you can fit this in your bag with your iPad and make beats anywhere. The fact that it does have velocity sensitivity, as well as aftertouch, plus the ability to control modulations from sliding up and down the keys themselves, are great features you'd find useful, despite how limited they are. Otherwise, if you want full functions, better rely on a full-sized controller and use the CME Xkey 37 for sketching out song ideas on the fly. Additionally, The Xkey 37 MIDI keyboard controller comes with a connector called the "XCable." This is a mini USB cable that allows you to connect MIDI in and out. So you can add sustain and expression pedals for more control. In terms of style, it looks like something that Apple would make. This is probably directed at those who use iPad apps to produce music. So if you're an iPad user or MacBook user, you'll find that the design consistency will translate over very well. If you use your iPad a lot to produce music and play software instruments, then this would be the best MIDI controller for you. It offers the same portability in a package that is not flimsy but sturdy, even though it's slimmer than the iPad itself. It may not come with the full features of a complete MIDI controller, but you wouldn't need them if you were using your iPad to make music. So overall, a great product to get. And if you want bluetooth connectivity, for a little bit more, you can get the "Air" version. The Novation Launchkey MK2 consists of four MIDI keyboard controllers to choose from. There are 25, 49, 61 keys, and a version with 25 mini-keys. All versions have drum finger pads. Each model continues to be rated very highly among MIDI controller users, and is one of the cheapest controllers you can get for great value. We'll talk the Launchkey Mini MIDI controller first. In the Launchkey Mini, you get 16 finger drum pads for you to track beats into your DAW. The Mini is popular because it one of the few mini-key controllers to comes with a complete number of finger drum pads. They light up with different colors so you can find your away around easily. Users also mention that the mini keys have one of the best feel out of other mini key MIDI controllers, with a really solid feel in the spring action. The pads are also small on the mini version to compensate for the size, but they're also very sleek and sensitive. In addition to the 16 pads on the Launchkey Mini, there are 8 knobs, as well dedicated navigation control buttons. Speaking for all versions of the Launchkey, each MIDI controller have standard octave shift buttons and transport control buttons. But the larger versions (25 key and up) have pitch bend and modulation wheels. The 25 key version has a master fader control, while the other versions have 9 faders. All versions have velocity sensitive keys, even the Mini. They also come with some great content, like a copy of Ableton Live Lite, XLN Audio Addictive Keys, Novation Bass Station, and V Station virtual instrument, with over 4GB of Loopmaster samples. The Launchpad is a favorite about Ableton users in particular, since it integrates so perfectly with their DAWs out of the box. It will link straight away to your Ableton patches quickly once you connect it and set it up. Users have very little to complain about it, as everything works very well right out of the box. So this makes a great option for you if you need something portable that has controls for your DAW while having pads if that's important for you. Taking it out of the package, you get the feeling that this is a quality controller that won't break on you in a few months, even though it's relatively inexpensive and fall within a lower budget bracket. The keys on the larger Launchkey models are synth style keys, which are just a hair narrower than normal piano keys. So they're not weighted like the high end controllers on this list for playing piano tracks, but they are ideal for play synth passages and pads. Otherwise, you'd need to get use to them if you plan on doing any piano playing with them. The Novation Launchkey is an ideal cheap MIDI keyboard controller for Ableton users. Other DAW users can use it as well, but the Ableton integration makes it a no brainer. Plus the series come with some excellent content right out of the box. For the price this is the best MIDI controller keyboard out there. Only downside? No after touch controls. Weight: (25 key mini) 2.38 lbs; (25 key) 5.07 lbs; (49 key) 8.16 lbs; (61 key) 9.26 lbs. The Novation Impulse is another highly rated MIDI keyboard controller with lots of controls that can be used also as a control surface. The Impulse comes in 3 variations -- 25, 49, and 61 key versions. All version are solid, stable, and dependable, making this one of the more highly rated MIDI controllers on Amazon and other gear sites. The first thing to talk about is the keys themselves. With the Impulse you get the standard piano style full-sized keyboard with a semi-weighted keybed that gives you enough resistance to not feel like one of those cheap plastic key keyboards. Gladly, users report that it has a really nice feel, despite it not being hammer-weighted. You won't have any trouble playing the right keys on this. All the models also give you 8 MPC style multifunctional drums pads which light up. The cool thing about these pads is that you can use them to warp the arpeggios you create from the controller for creating interest effects, patterns, and rhythms. You can roll beats from your pads (useful for hi-hat and snare repeater) and directly launch clips inside of Ableton Live. Speaking of Ableton Live, this comes with a cool selection of software right out of the box for plug and play action. You get Ableton Live Lite DAW, and a copy of XLN Audio Addictive Keys. Those two, especially the last software, are enough reasons alone to get the Impulse. As a user of Addictive Keys myself, I can tell you that it's one of the most powerful and satisfying keyboard plugins you can find on the market. Getting it bundled with a MIDI controller is such a no-brainer. Other packages include Loopmasters Sample Pack, and Novation's own Bass Station Synth. You can use this to fully control your DAW as a control surface. It has 8 knobs, and 9 faders (on the 61 key model, the 25 key model has only 1 fader). The standard transport buttons for play, pause, record, and so on are on it. The Automap 4 control software it comes with enables you to map the controls to your DAW and plugins with ease, making this a fairly ease MIDI controller to set up. Otherwise the builld quality is profession and solid. It has a nice design, which is portable and light. The 61 key version is one of the lightest of the same key count on this list, making it a great carry along MIDI controller if you ever need to take it on the road. The fact that it comes with Addictive Keys, again, makes this extremely appealing to me. 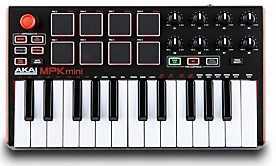 It's similar to the Akai Professional MPK2 series, but is a full 100 dollars cheaper. You trade that for less drum pads, of course. And some complain that the faders feel just a tad bit cheap, and that the Automap took some getting used to. Otherwise, it's a quality product, given that the few limitations are suitable for you, it would definitely make an excellent tool in your home studio. Weight: 7.7 lbs. 11 lbs., 14 lbs. The Korg microKEY2 are a line of MIDI controller keyboards with the special "mini-key" designs to make the controller more carry-along friendly. It's in fact one of the most popular and highly rated mini-key MIDI controllers you can find, with lots of positive feedback on Amazon. You get a total of 4 options with the the microKEY2: 25, 37, 49, and even a 61 key version. This would be perfectly placed on top of a desk for quickly auditioning and writing out tracks. Even the 61 key version is small enough. Some find that it's even playable in their lap. Its simplicity means that there is nothing really to figure out, which is great. It comes with the basic controls, pitch bend, and mod wheel, as well as octave shift (some users complained that it lacks a semi-tone shift, but that's an irrelevant concern in this case). You also get to plug a pedal in the back as well. Not because the keys are small, doesn't mean you won't get expressive playing out of them. They are velocity sensitive to allow more natural performances. It comes with software packages from Ableton and Propellerhead as well, meaning you get a plug and play device from the start. Plus it is power via USB which can be sufficiently run from your iPad. The Korg microKEY2 is an ideal MIDI controller for composers and producers who want to quickly audition notes in their DAWs without having to turn to their larger MIDI rigs. It's useful as a rehearsal tool for band and choral performances. The small size means you can play it both on your lap or right up on your desktop with your mouse. As a mini-key MIDI controller, this is consistently the top rated, and a definite recommendation to you. The Arturia Keystep is an an amazing little 32 key MIDI controller portable keyboard. It's not just a normal run of the mill controller. It has a polyphonic sequencer, arpeggiator, plus aftertouch. This on top of other features make it one amazing little tabletop device. Plus, you can also hook it up to your iPad too. This is a "slimkey" keyboard, so the keys are smaller than your typical sized piano keys. However, you still get velocity sensitive expression with them. Users say they tend to prefer the feel of this to other slim or "mini" key style keyboards because it feels firmer. The after touch also adds expressive control as well. The mod control and pitch bend are not wheels on the Keystep, but rather two touch strips which won't take you a long time to get used to. The Keystep is an exciting MIDI controller because it offers two different contollers in one: keyboard and step sequencer/arpeggiator. The sequencer itself is polyphonic, which is awesome. You can sequence up to 8 patterns at the same time, and each pattern can have up to 64 steps with each step holding up to 8 notes. The arpeggiator mode will give you up to 8 playing directions, with 8 time divisions from 1/4 to 1/32T, and the ability to change the tempo even if you've already set a global tempo. There is also a Tap Temp button to help zone in on the correct tempo. With the transport buttons, you'll find that you can create sequences and arpeggios in real time. There is a hold button also that allows you to play and record over your patterns whenever you need to. Added to all that, there is the Chord Mode. You can let the Keystep come up with chords for you just by pressing a single note (pressing the Shift key with the Hold button at the same time). You get up to 16 notes for a complex chordal patterns that could give you some inspiration when trying to come up with unique harmonic progressions. With the included software Control Center, you can save your favorite sequences and chords for another session (since you can only save up to 8). Users rave that the Keystep is one of, if not the best, portable keyboards on the planet. The build quality surpasses the price range that this is in, and all the features put this ahead of the competition. However, it only comes in 32 key versions, and there is no wireless bluetooth connection possible. But it can connect via USB to your iPad. The Keystep is a pretty exciting little product. If you're looking for the ultimate mini keyboard for writing melodies and chords, and will sequence patterns (melody or drums) as well as arpeggios for performance or recording, this is really the best option there is. It's pretty difficult to beat a product like this at this price point. And so it deserves a spot on this list, and maybe a place on your desk). The Roland A-88 is a MIDI keyboard controller with an impressive ivory feel and a slim form factor. With the A-88 you get the satisfying feeling of a convincing hammer action and velocity response, but the unit itself is light and will fit well in tight spaces, or be able to carry around with you. It also comes with a few controls you'd find useful. The feel of the keys comes from "Roland's Ivory Feel-G key bed" with escapement mechanism. You know when you're playing a piano, and after each note you can feel the hammers lifting off each of the strings to return to their position? That feeling is also in the A-88. And based on how this feels, you can tell that Roland did a very good job at carefully mimicking the response and feel of a piano. Hence the reason why Roland billed it "The Portable Controller That Plays Like a Grand." Many people who have used it, including classically train pianists, have commented that it does have that real acoustic piano feel. But the realistic piano feel and portability are not the only factors that you'd enjoy from the A-88. One cool feature it case is the ability to control and even "play" this instrument without touching it... How do you do that? The Roland A-88 uses a feature called the D-Beam. This is an infrared beam that you interact with by waiving your hand over it. You can assign this control to any parameter you like. You can use it to control volume or pitch, essentially turning your A-88 into something like a MIDI theremin instrument. There are other controls that you can use. These include the octave buttons, transpose, and function buttons. It also allows for the 3 pedal controls found on a standard piano (damper, sustain, and soft). In terms of design, most people are impressed by the profession and sturdy chassis. It's solid but not very heavy, making this the ideal if you're a keyboardist or professional pianist who need a portable keyboard controller to perform on. You'd also find it handy that the A-88 is compatible with both Windows and Mac. You can also use it on your iPad when using the Apple iPad Camera Connection Kit. Most people who have decided to purchase this instrument have had great things to say about it. The ideal user would be a producer who plays professional piano or keyboards and need something that "feels" like one. So if that is you, and you're looking for something professional, portable, and comes with controls, this is might be for you. Other Controls: D-Beam, Octave, Transpose, Split, Up, Down, Function, 2 assignable knobs and 2 switches. The Kawai VPC1 is a virtual piano controller made by an actual piano company. Unlike most other keyboard controllers on the market, the keys are made out of the same kind of wood and produces the same kind of "hammer action" feel that you find on a standard piano. This controller was designed specifically for the keyboardist who comes from a piano playing background. If you're a pianist, you'll like the attractive wooden piano-like chassis design, which comes with its own music rest that you can detach. Its design is sturdy, made out of aluminum, steel, and wood. There is no screen or any buttons on the controller (except for the power button). This gives you the rather uncanny appearance of being a completely acoustic instrument without any electrical parts. You get the feeling that Kawai was really going all the way in giving piano purists the consistency of a real-live piano experience, even if you're sounds are still coming out of a computer or sound module. To keep up the consistency, you also get the triple pedal that normally comes on a grand piano -- damper, sustain, and una corda pedal (soft-pedal). But the most challenging thing that all pianists (myself included) would find annoying when it comes to electrical keyboard instruments, and especially MIDI controllers, is the unnatural feel and the velocity response. We already saw that the keys were made out of wood, and use a hammer action design that replicates that the actually feel and response of a Kawai piano. But it also comes with "approved touch curve settings" for popular virtual pianos, which will give you the most realistic velocity response that you can get from a virtual piano controller. The VPCEditor software (compatible with Mac and Windows) allows you to select preset velocity curves for the controller. You get generic light, normal, and heavy curves, as well as the official curves for Galaxy Vintage D, Modartt PianoTeq, Native Instruments Alicia's Keys, and Synthology Ivory. You can use the software to assign velocity settings to specific notes, and edit the pedal settings. If you're a producer or musician who's also a pianist or keyboardist, and you want the absolute best feel and response from a controller, designed specifically for the purpose of playing piano, then the VPC1 is for you. From personal experience, there is nothing better than the feel of an actual piano when laying keyboard tracks in a DAW or performing live. Kawai knows that, and so they delivered on the ultimate product. The ROLI Seaboard Grand is an innovative 61 key expressive keyboard controller. More specifically, it's a polyphonic pressure keyboard controller. This controller gives you the power of "expression" right at your fingertips as you play -- meaning you can directly feel and control pitch and after touch effects. This makes it useful for playing string samples and synths in a way that a normal piano style MIDI controller isn't able to, but with a layout closer to an actual keyboard. For instance, pressing down on the keys increases the volume of the samples and synths that you play over time, and by wobbling your finger on any note or notes, you will create vibrato. You can also slide between notes seamlessly to create naturally sound pitch slides. The control surface itself is made out of silicon which feels soft and velvety. Its firm to the touch but offers a little give when your press your fingers into the surface. And because it's designed like a standard keyboard, if you're familiar with keyboards and pianos, you should find it easy to adjust to the Seaboard. This is not a stand-alone MIDI controller. So you'd need to hook it up to a laptop or computer (Mac only, for now) with a VST software plugin. However, the Seaboard comes with a special version of FXPansion SynthSquad bundled with the controller, as well as Equator software. Both of them are poly synths designed specifically for the unique expression controls of the Seaboard. The Seaboard, however, can be used with many other of professional synth and sample plugins on the market like Omnisphere and Keyscape. Most people who have used this and reviewed it said that it is one of the most satisfying MIDI controllers to play. It's in fact used by famous musicians like Hans Zimmer and Grimes. Keyboards in general are the best choice in controller instruments because of the accessibility they bring to music making. That's why when people want to produce music, they often learn a little bit of piano as well. But the limitation of a keyboard instrument is that once you play a note, that's it. You have very little control over that note. That's not the case with the Seaboard. Capturing moods are easier with tiny finger gestures, making performances of string and wind samples, as well as synth sounds, feel more satisfying and natural. In all, the ROLI Seaboard Grand Stage is a great MIDI controller for composers and film-score producers, as well as sound designers. Also, if you come from a string player's background (like cello, violin) you'll find that you'll be able to transfer your expressions more naturally over to your productions. Only possible issue you'll have, as a keyboard player especially, is that you have to hit the center of each note to get the right pitch. However, the Seaboard comes with a control for pitch correction to keep your playing in tune. Overall, a great choice, even if a little unconventional. The Akai Professional APC40 MKII was the first dedicated Ableton Live controller to hit the market back in 2009, and has been responsible for a lot of other "copycats" that came along the way (the Push that was later released was also made by Akai Professional). It is cheaper than the Push, so if you thought the Push is a little outside of your budget for an Ableton Live dedicated controller, this is a worthy alternative for you to consider. But the price isn't the only consideration for you. The APC40 sits in a specific niche of DJ equipment and studio gear. Electronic producers who need a tool for live performance with DJ controls would benefit the APC40 mostly. The APC40 has 40 light up rectangular pads in total, arranged into 5 rows and 8 columns. Each pad lights up to reflect a specific clip color within Live. When you're using the APC40 to compose beats, the core workflow consists of selecting and arming tracks from the surface, while controlling the Devices in the selected track. You can then use the A/B crossfader which can be assigned for dynamic mixing. The APC40 also has powerful tempo controls. In addition to the Tap Temp and Nudge buttons, you get a dedicated Tempo Control knob which helps to push and twist your beats and performances into the right tempos. Clearly you see the reason why this makes such a powerful DJ tool for music producers. In terms of design, the APC40 was built and designed like a piece of DJ equipment. The previous model especially was a little bit bulkier and rugged, so it could be thrown in with your equipment. The new model is smaller and more compact, probably a reflection of the demand for more studio use. However, the added benefit is that it becomes easier to carry. Compared to being more of a DJ oriented music instrument, lighter, and cheaper than the Push, it's also fully powered by USB alone, meaning no need searching around for extra outlets on a performance set. However, the Push, being more geared toward music making, gives you playable pads and sequencing, as well as velocity sensitive pads. The pads on the APC40 was designed for launch clips within Live, while Push was designed for composing tracks. There are two other versions that follow. There is 25 mini-key controller version which scales down on the number of controls, but offers you the ability to play melodies and simple chords. And there is also a mini version of the APC40 called the APC20. It is cheaper and has less controls, but it has 8 rows of pads instead of 5, which means less banking. When you purchase any of the APC family, you receive music production content that includes Toolroom artist launch packs, Prime Loops samples, Hybrid 3 by Air Music, and SONiVOX Twist. 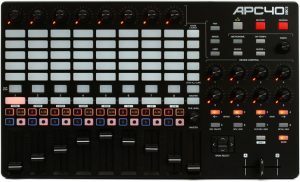 The Akai Professional APC40 is a great cheaper alternative to the Live for Ableton producers. 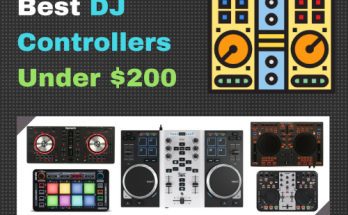 But it's also a great buying decision if you know that you'll need a dedicated controller if you plan on doing any DJ performances with your productions. Those who have used have been happy with it, and it continues to be one of the most popular controllers on the market, followed by Push. Pedal input: 1 x 1/4"
The QuNeo by Keith McMillen Instruments is a 3D MIDI pad controller for multi-purpose music performance and production. Looking at it, you may wonder how it works compared to the typical pad controllers. For one, all of the pads on this device lights up and are pressure and velocity sensitive. This promises to offer you the ability to scale your creativity to new potentials as a musical instrument that you can play, not only a clip launcher or beat pad player. First off, the QuNeo is about the size of an iPad, with the same dimensions and thickness. But it's also lighter than an iPad because there is no heavy screen or battery weighing it down. This makes the QuNeo one of the only pad players you can actually use in your hand. It's powered strictly by USB via a micro-USB port. 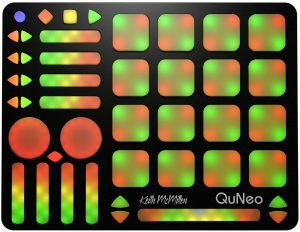 A first look at the QuNeo reveals a selection of pads of various sizes and shapes. All of them are lit up with LEDs that change color based on how you touch them. Most of the devices surface is occupied by touch pads. The largest group of pads form a matrix of 4x4. The other pads are actually fader strips, control buttons, and circular disks that are called "rotaries." You wouldn't know what any of the "controls" do, though, because there is no label. At first this may make things challenging. But the lack of labels does seem to enhance the "intuitive" feel of being a musical instrument which you can feel your way around. When you start it up and touch the pads, they light up in various colors to assist you in finding your way around. The fader pad lights up with green on one end and red on the other, indicating which position you're in. The rotary pads operate like knobs. They can be turned continuously like an infinite encoder, or they can be set to change to absolute directions like pots. Also, every thing you touch is pressure sensitive. Each pad is velocity sensitivity, as well as responsive to X-Y-Z axis directions. Meaning you can wobble your finger on it for pitch bend, increase pressure for crescendos, and control another parameter with Y axis. This makes the QuNeo one of the most expressive pads to play. The 4x4 drum pads themselves operate in one out of two modes. In Drum Mode, the pads will be sensitive to pressure (Z) as well as X and Y direction. In Grid Mode, each pad is split up into four corners. Each corner will send its own MIDI data. This mode is not X-Y directionally sensitive, but you get to quadruple the amount of pads you have, making it more suitable for music instrument performances. The QuNeo has 16 presets loaded in it. All the presets can be edited and completely changed with its downloadable editor software. And if you want to do any manual mapping when setting it up to work with your DAW, you can download official templates for Ableton Live, Traktor, Battery, Reason, Serato, Mixxx and Logic. If you want a pad controller that operates truly as an intuitive instrument that is hyper responsive to your touch, then the QuNeo MIDI controller is for you. It's a rather intelligent little device that's super portable, and you can intuitively learn to master it as a musical instrument. This is thanks to pads giving continuous feedback on how you play them. Many users love it for the particular reason that it feels more like an instrument than any other pad player. Native Instruments Maschine Studio MK3 is a dedicated drum machine MIDI controller pad. It's one of the most popular MIDI controllers on the market, with lots of great reviews and positive user feedback. It's designed to be used primarily with the NI's Maschine software, which is a "groove production" software used primarily for producing drum beats. The software can be run in standalone mode, or as plugin mode in your DAW, but it's preferable to use the Maschine drum pad with it. 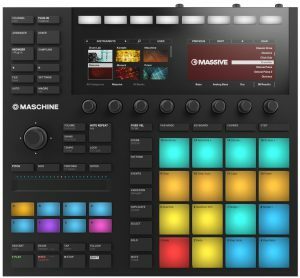 Maschine was originally designed to model MPC drum machines. But instead of having it's own sounds built into them, you use this to trigger samples on your computer software from the velocity sensitive pads. Even though it is a drum controller primarily, it becomes more and more like an instrument once you get used to it, finding that it's great at building songs by layering patterns into "scenes" that you can arrange quickly. This is most suitable if you're thinking about making house music, EDM, hip hop, and other electrical music genres. First create and record loops, then assign loops to pads. Choose effects for each pad (like compression or delay), bring different loops and sounds in and out, create layers of loops and sounds as you play. The controller also allows for automation and controlling parameters within the software without even having to touch your computer. The software itself is considered one of, if not the best, drum machine and sampler softwares in music production. It comes with over 8GB worth of samples, one-shots, loops, instruments, patterns and drum kits. The sounds are industry standard and have been responsible for many chart topping hits and club bangers. And while you can use it alone, it is really the most well matched with the Maschine controller. Back to the controller. The design is beautiful and is in line with Native Instrument's design aesthetics. The matte black slab feels sturdy yet being relatively portable so you can use it on table tops and even in your lap if you need to. It has 16 pads which light up in multi-color patterns so you can build out patterns and sequences within your DAW. It also features 2 high-res displays that give enough feedback to keep your eyes on the device without having to refer to your computer. Maschine is a MIDI drum machine pad controller that you can you use to make and arrange songs . Of all the MIDI controls for drums, this is the best particularly when it come to electronic music. It's not just a great beatmaking tool, the intuitive design and workflow is great for sequencing whole songs by tweaking sounds and creating patterns inside the dedicated software. The LinnStrument is arguably the most exciting pad controller on the market right now. It is a "pad" controller that can be used as a keyboard instrument as well. Of course, when you look at it, it looks nothing at all like a keyboard, and it only resembles a pad controller because of the small squares that populate the silicone surface. With your typical pad controller, what can you do with it? Play beats, trigger drum and loop samples and hits to create really nice grooves. In a sense, the skilled pad musician can turn his pad controller into musical instrument, not just a beat-making tool. But can you, for instance, play a Bach prelude on it, or design orchestral scores? No. But with the LinnStrument pad controller, you can. The surface of the LinnStrument is a continuous sheet of 2mm thick silicone rubber. It's hard to the touch so playing on it will feels like tapping your fingers on a table top. It only has about 1mm give in it, but the translucent pads are embedded with multi-color LED lights that help you navigate the "notes." Yes, each "pad" is a "note." There are 200 of them on the controller spanning over 5 octaves. The LED lights are programmable so that you use them as a guide for playing the pitches. All the Cs are in blue and other natural notes are in green. This makes the LinnStrument closer to being like a stringed instrument than a piano, since, like a string instrument, you have streams of notes with note overlaps. You can then think of programming it like the various tuning systems for a guitar, for instance. Each pad is sensitive to four different kinds of data from your fingertips: you get the standard velocity sensitive response (hard to soft) plus X, Y, and Z axes response. Meaning, you can drag your finger to the sides (X axis) back and forward (Y axis), and vary the pressure (Z) to add unlimited expressiveness to your playing. Typically, wobbling your fingers from right to left will give you pitch bending vibrato. Up and down will send another data to a parameter you choose (like modulation, for instance). Pressure changes on the keys typically adds the ability to make crescendos and other volume changes as you press each pad. The only limitation you will find with this is that you can really only use one finger per pad, and you have to be careful as you play that you don't accidentally trigger the neighboring pads. Like a typical MIDI controller, you can attach pedal to it for sustain and expression control. Despite how powerful it is, it's very efficient. You can power the LinnStrument via USB alone from your computer, tablet or even phone. The build quality is also impressive. The chassis is made of steel, aluminium, and wood. I personally like the real cherry wood on the sides, it resembles the classic synthesizers back in the day housed in wooden cabinets. There are eight configuration buttons at one end, and a panel with a series of sockets at the other end. At 5 lbs. it's light and portable, you won't have any problem transporting it, playing it on your lap, or strapping it over your shoulder like you would a guitar or bass. Users review that it allows them unparalleled expressive playing of their software synths. The typical keyboard configuration, according to one user, can be very limiting. This is true if you're coming from the perspective of an multi-instrumentalist that understands how to get different playing results from other types of instruments. The LinnStrument offers playing possibilities where the keyboard is limited. A little about the person who created it. The controller was created by Roger Linn. He created the first programmable, sample–based drum machine in 1979. Since then, he's worked with Akai's MPC workstations, created the AdrenaLinn guitar effects processors, and worked with Dave Smith Instruments on the Tempest drum machine. The LinnStrument is a great choice if you're a composer, sound designer, multi-instrumentalist looking for the ultimate pad controller for your DAW or software instruments. Only downside is that you have to spend a little time learning to use it like an instrument, and not just a drum pad. This is the result of hours and weeks of combing through the internet. We dug through forums such as Gearslutz.com, Reddit’s r/WeAreTheMusicMakers thread, product reviews, and buyer reviews from pro audio owners. Customer ratings from Amazon and other music stores were used to factor in which MIDI controller per category and price range was the best rated, had the most ratings, and then compared that against forum reviews, user testimonials, and personal experience (where applicable). What are your thoughts on the new Nektar Panorama T4 & T6? As of this date, the T series is very new to market so it’s not that much “tested”. But it appears to be a great alternative to the P series we mentioned, if you’re looking for something more budget friendly. Only thing is that it lacks the motorized controls, which was one of the reasons why the P series got a top spot. Hope this helps. P series still seems like the better choice. But I’m sure it’ll be a great choice if you wanted a more “budget friend” Panorama. We’ll be keeping this post updated, so the T series ‘may’ get a mention. What do you think of those new-age MIDI controllers ? You’ve probably seen them on Kickstarter or tech articles. Those drum rings, VR MIDI controllers and those OWOW MIDIS (https://owow.io). Is it worth checking out or would you rather stick with the MIDI keyboards and drumpads? People will differ in terms of opinion regarding advent of newer types of controllers. Personally, I, as reflected by this site, am more of a traditionalist, and I think that the traditional keyboard and drum pads are not going away, and will remain as the defacto instrument controller for musicians and producers. But we cannot ignore the fact that there will always be innovation, and always people willing to take on that innovation and make it become somehow mainstream. Modern music composition and film-scoring is certainly not the same as writing operatic scores by feather pen under candle light.